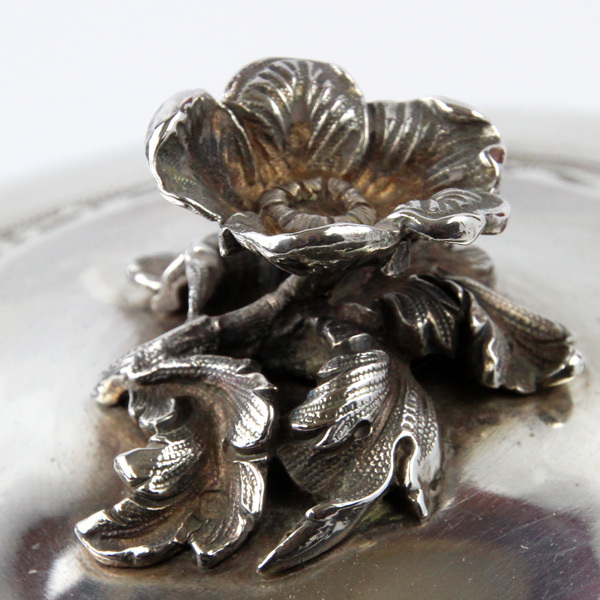 The hinged cover is topped with a flower shape finial, stylized handle with anthemion motif top. 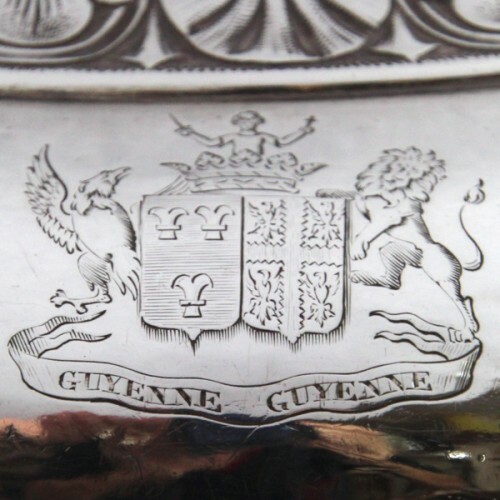 Engraved with a crest, inscribed – “Guyenne Guyenne”. 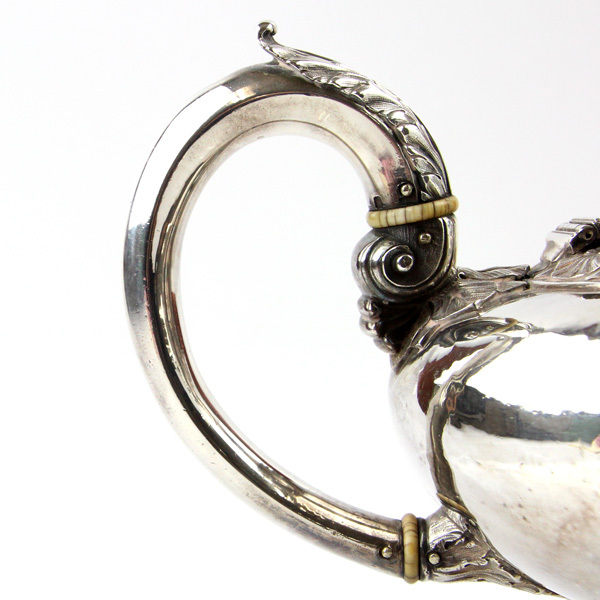 Set on a circular fluted foot. 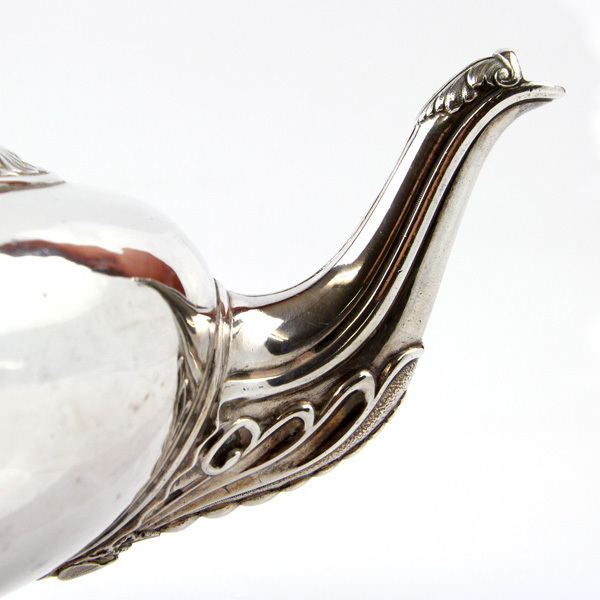 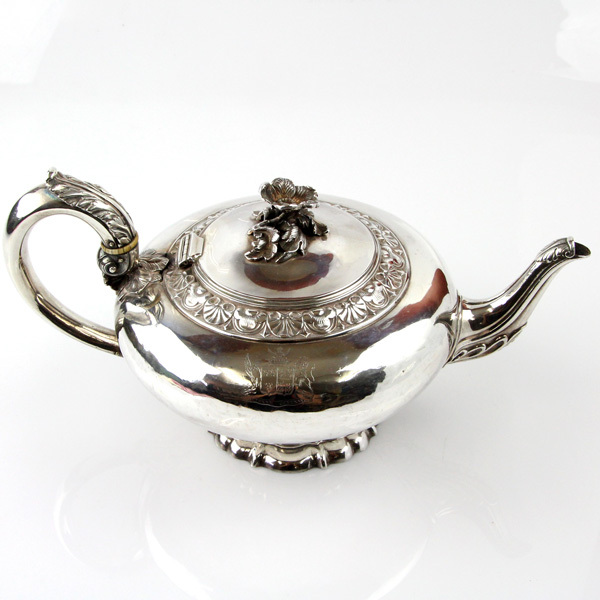 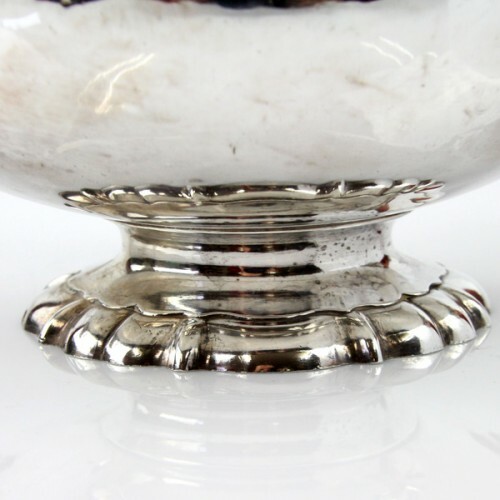 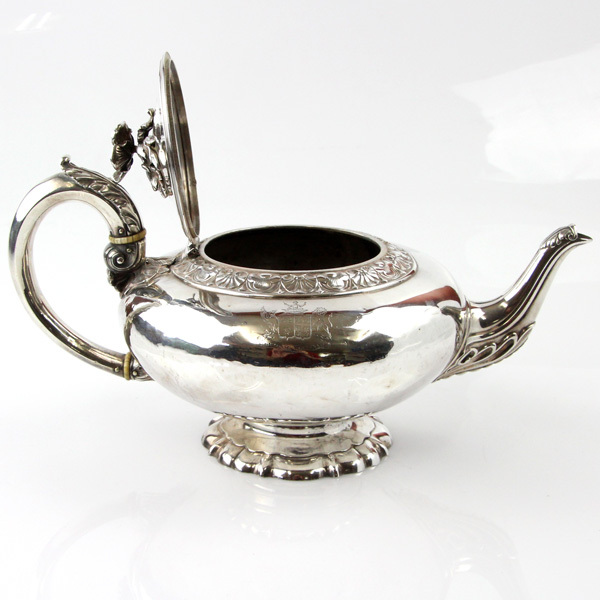 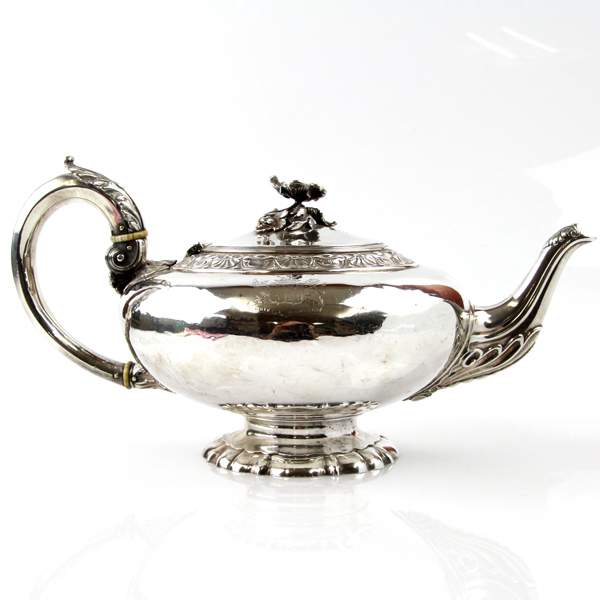 Marked with French silver marks (Minerva) and maker’s mark for the renowned silversmith Francois Durand (active 1828-1874, 4 Rue du Mouton, Paris), also impressed “Durand Paris”. 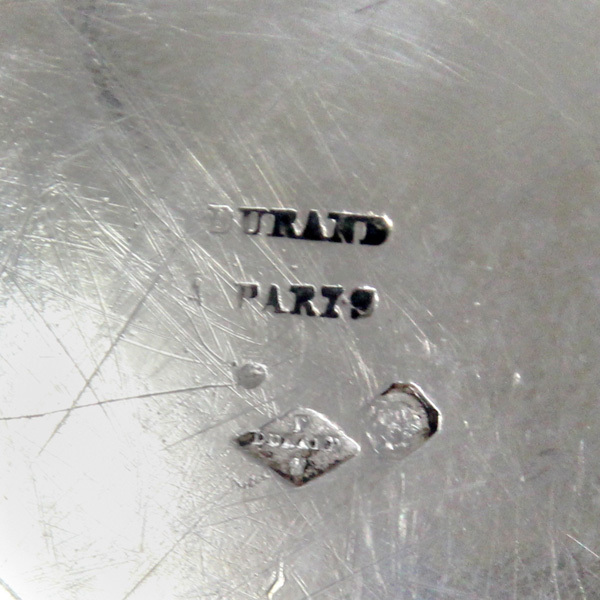 Very good condition, minor dings. Height – 15cm / 5.9in. Diameter – 17cm / 6.69in.